What occasioned Beethoven to write a composition for such an unusual and yet sonorous group of instruments? Was it perhaps commissioned by a nobleman who played music with such a group and needed music? Whatever the reason behind it, opus 25 is one of Beethoven's few chamber music works that did not have a bass instrument. Despite the unusual combination of instruments, Beethoven had no difficulty in finding a publisher for his serenade; shortly afterwards he even turned to the work again and revised an arrangement for flute and piano (op. 41), which had been made by a third party. 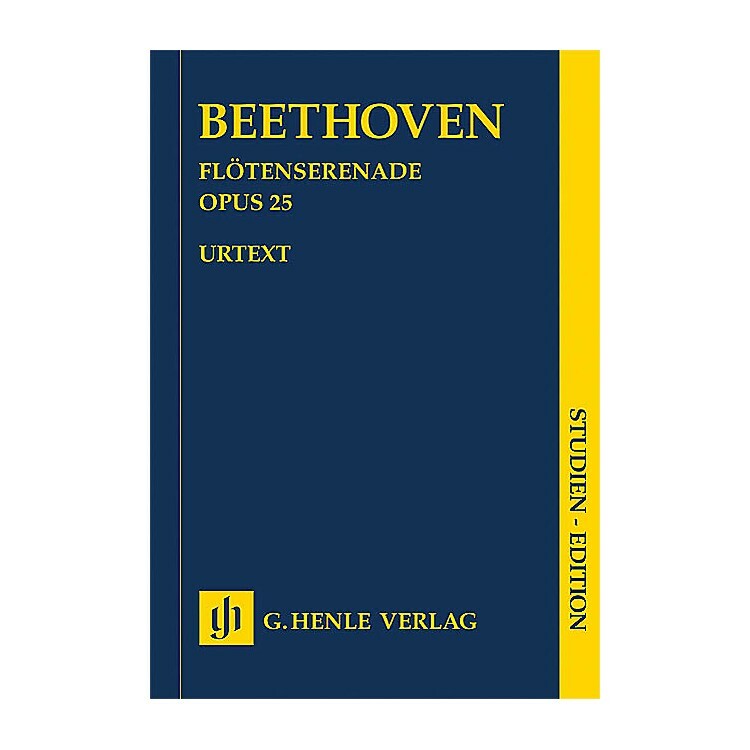 Our revised edition follows the musical text which will soon be published in volume VI/1 of our new Beethoven Complete Edition.